On the second Saturday and Sunday of the month September through June, this select group of wineries throw open their cellars (sheds, barrel halls, gardens and vineyards) for you to visit between 11.00am and 4.00pm. 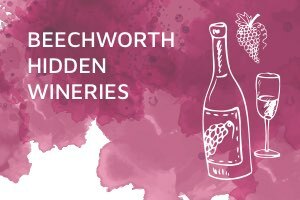 For more information, a list of wineries and map, visit Beechworth Hidden Winieres. Beechworth is North East Victoria's best-preserved gold rush town and the two hikes take you to the Chiltern-Mt Pilot National Park and through the area's prestigious Nebbiolo vineyards. You will dine in two of the town's most popular restaurants, including the award-winning "Provenance", and taste some of the finest wines of the region. Price includes two fully guided hikes, fabulous picnic lunches, wine tastings, two dinners in Beechworth matched with excellent wines and all transport to and from walks. You are free to choose accommodation from a wide selection in Beechworth. For more information visit Hedonistic Hiking. 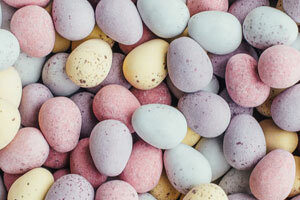 Easter in Beechworth is a festive long weekend with lots of activities and events for the whole family. The long weekend event includes a range of activities and things to do including markets, community events, historic displays and a grand parade through the main street of Beechworth. Discover the Ned Kelly Vault and Beechworth's Historic Precinct or experience Bourke Museum. Complete the weeknd with an Echoes of History Guided Walking Tour. Are you staying in Beechworth for the Easter long weekend? Check out Beechworth accommodation and book your stay. Visit the Wooragee Easter Market on Easter Monday! Wooragee Easter market Monday is a part of fundraising efforts for the Wooragee Primary School, local CFA and the Community Hall group. 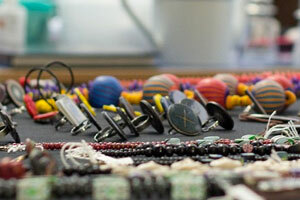 Stalls include arts and crafts, plants, local produce, books, trash and treasure plus much much more. Food and drink will be available as well as kids activities. New stall holders are always welcome with grass and shade sites available. For more information visit Wooragee Easter Market. They call it the season closer to end all season closers. And why not - the facts speak for themselves. Ride the five awesome gravity trails at Beechworth plus enjoy free pizza and beer. This is your only shot to shuttle Beechworth. $10 from every two-day ticket sold goes back to The Chain Gang cycle club to reinvest into the trails. $5 from one-day ticket. Enjoy a Saturday night party with live music at Bridge Road Brewers. Two season passes for next year to be won. The Ride Cycles gravity lounge for all your biking needs. Enjoy the keg party at the trailhead from 3:00pm., with two free brews per rider (Saturday only) and one large pizza from the Bridge Road Pizzeria (two-day ticket holders only). One-day ticket holders are free to join the party at Bridge Road Brewery too. There will be uplift shuttles on both days at Beechworth Bike Park. Gravity Shuttles run from 10:00am to 4:00pm both days. For more information visit Blue Dirt Moutain Biking. The Beechworth Old Cranks Motor Club has been running the Drive Back In Time for 20 years. 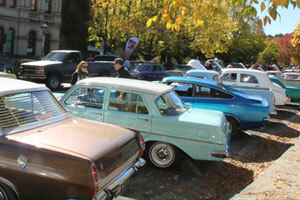 Up to 250 rare, classic and vintage cars and motorcycles will converge on the historic streets of Beechworth. The event has grown to become one of the region’s most popular car show and cruise events with participants coming from around Victoria as well as intersate. The weekend kicks off 10:00am on Saturday with a Tractor Run and a barbecue at midday at the Old Railway Goods Shed in Beechworth, followed by a Street Cruise of display vehicles from 4:30pm. On Sunday, visitors will be able to view the incredible array of pristine cars and motorbikes lined up either side of Ford Street in the Historic Precinct area of Beechworth which is closed to traffic as well as vintage engines displayed in the Police Paddocks. Gates open at 8:00am and entry is $5 for display vehicles and free for the public. Barbecue and drinks plus a fantastic raffle all day. For more information visit Beechworth Drive Back in Time. This mantra of love what you do first, then the people will come stayed with Provenance owner and chef, Michael Ryan, and continues to be a driving force behind the success of his two-hatted, Japanese inspired Beechworth restaurant. Join Michael for a very special harvest inspired evening - the freshest of local ingredients transformed by expert, passionate hands. For more information visit www.feasthighcountry.com.au. Pedal and Taste is an easy guided cycling journey visiting local producers from Beechworth to Milawa, on the Murray to Mountains Rail Trail. Taste wine, olives, cheese and more as you sip, cycle and sample your way to Milawa, with bus transfers back to Beechworth. Your ticket includes Includes: a Trek FX hybrid bike (e-bikes available for an additional $25, lunch and a cheese tasting turtorial at Milawa Cheese Factory, a wine making tour, private wine tasting at Brown Brothers, a support vehicle throughout, return transfers from Milawa to Beechworth and collection of all purchases. For more information visit www.tourdevines.rezdy.com. It’s not every day you get the opportunity to get up-close and personal with incredibly talented, producers, chefs, winemakers and brewers; to hear their story, learn their secrets and of course, taste their delicious products. Thanks to Feast High Country Festival, that opportunity has arrived. From 3 - 19 May, the very best of Victoria’s High Country’s renowned food and drinks will be showcased in a packed program of events that will celebrate both the outstanding natural beauty of the mountains, valleys, vineyards and villages of the region and the incredibly talented makers who bring it to your table. Ride a horse, pedal a bike, take a hike and even paraglide to more than 40 delicious events at cellar doors, village cafes, Hatted restaurants, amongst the vines and by the light of blazing bonfires from Mansfield to the King Valley, Beechworth to Bright, Rutherglen to Mount Beauty, Corryong to Falls Creek. For 130 years, the Beechworth Honey family have walked the same land, breathing the same robust eucalyptus aromas, drinking in the same stunning views. Now, Steven and Jodie Goldsworthy invite you to walk in their family’s footsteps in a self guided sensory journey through the Beechworth Gorge, dotted with delightfully sweet stops along the way and finishing at a secret location. Count on striking landscapes and local food vendors who will welcome you home and eagerly fill your belly. Please dress appropriately, with sturdy shoes and warm jackets, and be sure to pack enough water. The low down: An easy to navigate map, a hearty lunch featuring local produce, plus surprise snacks (tokens will be provided to redeem on the day), local drinks available for purchase and family friendly activities. The choice of shuttle or walk to get back to town. To walk, head back into The Gorge and pass the historic Newtown Bridge Falls, or the shuttle will take you back into town from the lunch spot. The full walk is approximately six kilometres (four if you decided to jump on the shuttle back to town). Please allow three-four hours to fully enjoy the experience. Extending from the river to the mountains, Victoria’s High Country Brewery Trail weaves a scenic path to awesome beers. Each brewery along the Trail exudes its own personality and style, just like each of their brews. See for yourself by exploring the Trail during the Feast High Country Festival in an exclusive behind-the-scenes look at all eight breweries in eight days. Join the high country brewers for an intimate and in-depth tour of each brewery and taste the difference in these delicious local craft beers made with passion, the best ingredients and the pristine waters of Victoria’s High Country. This special Festival brewery tour is free, with the opportunity to taste beer directly from the brew tanks! George Kerferd Hotel will present a selection of locally sourced produce to match the quality award winning wines from Beechworth Wine Estates. Enjoy great food, wine, company and song with live music on the night. Contact Beechworth Wine Estates for more information. It’s that magical time of year again where the hard working producers of Beechworth finally come together, take stock and celebrate another successful year as harvest concludes. Join Beechworth locals on the shores of Lake Sambell for the annual Village Bonfire - a spirited community gathering sure to warm you from the inside out. The event begins with an hour of nostalgic harvest-inspired games for the kids before the lighting of the Village Bonfire, organised by Lake Sambell Caravan Park, Beechworth Honey and the Old Beechworth Gaol. Finally, glowing lanterns will be floated over the shimmering lake as you mingle over toasty fireside snacks and tunes by local artists. The bonfire is free to attend with a gold coin donation to fundraise for the local CFA. Light local snacks and beverages will be available for purchase. The event commences at4:30pm with food and beverages available. Lanterns floated between 5:00pm and 5:30pm before the bonfire is lit at 6:00pm. The event concludes at 7:00pm. An exhibition telling the story of Finch Street resident and World War One soldier, William Forrest, will open at the Beechworth’s Burke Museum. Hearts of Gold and Minds of Mettle, Mary Rawes to Mariette Craig - Stanley Women of the 19th Century. The little known stories of Stanley's women of the 19th century are presented in this exhibition. Of diverse skills and occupations - in horticulture, gold mining and retail - these resilient women include a group who signed the 1891 Monster Petition for women's suffrage. For more information visit Stanley Athenaeum and Public Room. A Learn To Dance evening in Beechworth on Thursday nights from 7.30pm to 10.30pm. A Learn To Dance evening in Beechworth on Thursday night. Dance includes New Vogue, Old Time, Latin. This is a fun filled activity Thursday evening which is held at the Senior Citizens Hall, in Beechworth. No, not just for seniors. Cost is $7 which includes tea and coffee. An activity for everyone, come and join us for some social interaction, learning, and exercise for body and brain. Beechworth Farmers' Market is held on the first Saturday of every month and specialises in a great variety of fresh, local produce. Come by and have a chat with passionate growers and producers of the region, pick up some fresh local produce or grab a bite to eat from one of the many food stalls. For more information Beechworth Farmers Market on Facebook. Wooragee Produce Market sells locally produced food, wine and crafts. Fruit, veg, mushrooms, strawberries, baked goods, smoked smallgoods, meat, eggs, honey, flowers, herbs, crafts, soap, plants, tea to name a few. Local caterer Taste Trekkers and Wooragee school barbecue will be selling dinner to have there or take away. You can purchase wine by the glass or bottle. Bring your chair along and enjoy dinner and a glass of local wine in the lovely surrounds of the Wooragee hall. Beechworth Bakery is supporting local musicians by featuring live music, great coffee, and your favourite treat on the balcony overlooking the heart of Beechworth – it’s the ideal way to spend a deliciously relaxed Sunday. For more information visit The Beechworth Bakery. Beechworth stands as one of the best living examples of how our nation grew and prospered with over 30 buildings listed with the National Trust. The best way to explore and learn about the areas rich history is to join one of the Beechworth Guided Historic Walking Tours, where you can see many of these original buildings first hand and discover the stories behind the grand facades. The Echoes of History Guided Walking Tour highlights include the story of Robert O'Hara Burke (of Burke and Wills fame), the role of the famous Golden Horseshoes in an historic election, tales from Beechworth's China Town and the history of the first Australian born Governor General. Tours leave from and return to the Beechworth Visitor Information Centre. Contact the Visitor Information Centre for current times and bookings. The Ned Kelly Walking Tour highlights include the house where Magistrate William Henry Foster, who presided over Ned Kelly's committal hearing in the Beechworth Court, lived and the site where Ned Kelly won a bare-knuckle boxing match that lasted 20 rounds. Tour runs daily at 1:15pm. Contact operator for more information.